Let’s start with some basic definitions and facts. Latency (also known as mouth-to-ear delay or just delay) represents the time which it takes a voice packet to reach its destination. Latency is measured in milliseconds (ms). Latency greater than 150 ms noticeably affects the call quality experience. More in detail described in ITU-T G.114. We haven’t received the next packet in time, so we have no media to play. This can be solved by Jitter Buffer (3GPP TS 26.114). However buffering is increasing the Latency. Therefore the size of the buffer has to stay as minimal. We have received too many packets. If the the buffer isn’t big enough , it may happen the some packets are dropped. Ideally all the packets should arrive with the same Latency. If the delay is long, the user experience is a little worst, but we don’t loose any information. But if the latency is unsteady == higher jitter, then some data is lost. Jitter is measured in milliseconds (ms). Jitter greater than 30 ms may result in packet drops which then impacts the call-quality. To get some idea about what the Jitter means in practice, you can try some samples. Packet loss typically occurs when some packets are dropped by congested network routers or switches. Or, as we have seen, packet can be also discarded by the jitter buffer. If any packet is lost, in contrast to data, we can’t wait for re-transmission (because of latency). If the number of lost packets stays reasonably low, there is only negligable impact on the call quality. With the higher amount of missing packets obviously the effects of packet loss may result in loss of syllables or even missing words during a conversation. More in detail in ITU-T G.113. VoLTE defines the requirements for voice call latency as 100ms or less (one-way), VoLTE video latency as 150 ms or less. The Packet loss has to be less than 10-2 for voice and 10-3 for video. More information can be found in OTT and VoLTE Calls or VoLTE Policy Control Summary posts. Basic tools are embedded in most of the soft clients these days. If that is not an option, we can get some idea about Latency, Jitter and Packet Loss, using the simplest tool – the ping command. In our example the average Latency is roughly 28/2 = 14 ms, max jitter cca (38 – 24)/2 = 7 ms. Btw. don’t forget to change the packet size. Some better info can be provided by iperf command. To analyse a call trace we can use Wireshark. To get RTP statistics you can simple select Telephony/RTP/RTP Streams. Then select your stream and press Analyze. If you don’t have your own traces yet, you can easily use some from the Wireshark public repository. To play with WebRTC you can try chrome://webrtc-internals/. Howto understand this tool can be found here. For an ACR Test, a larger pool of people should be used (16 or more). Also the test should be done under controlled conditions in a quiet environment. ITU and the Open Speech Repository are sources of phonetically balanced speech material. The methodology on how to compare general ACR and ITU ratings, WB and NB scores, etc. is quite complex, more in depth it is described e.g. in Integral and Diagnostic Intrusive Prediction of Speech Quality By Nicolas Côté. The overall call quality is affected by many transmission parameters that are combined together and have to be taken into account. Therefore it is very difficult to truly understand the contribution of each individual parameter (e.g. Mean Delay, Weighted Echo Path Loss, Receive Loudness Rating, …). The E-Model is a computational model which provides a scalar quality rating value, R. This Factor R corresponds directly with the overall conversational quality. The E-Model is defined in ITU-T Rec. G.107 and can be used as a powerful transmission planning tool providing a prediction of the expected voice quality. 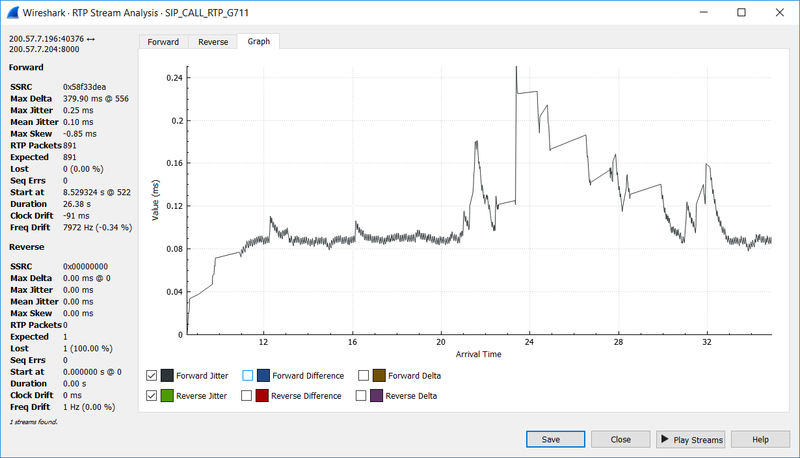 Factor R is an alternative method of assessing call quality you can often see as a part of call statistics. The following table demonstrates the effect of the MOS and R-Factor on the perceived call quality. NOTE 1 – Call processing performance objective according to ETSI TS 101.563 is higher than 99.9%. NOTE 2 – ETSI TS 101.563 recommends 5.9 s, with 95% of probability below 2.4 s.
NOTE 3 – Only circuit switched fall back on mobile originating side is considered here. some network operators are able to provide national calls with delays below 250 ms. The overall voice-call quality also depends on what technologies are involved or if more operators are interworking. I bet you have heard that Codecs (the actual RTP payload) have something to do with the voice quality too. If you’re interested you maybe even heard about Codec Wars. Surely the chosen way of media encoding determines the final quality and the needed bandwidth. More information in VoLTE close encounters. In contrast to VoLTE in VoIP (Enterprise), we use many more codecs. Therefore we have to often deal with transcoding and transrating. Transcoding usually degrades the voice quality e.g G722<->AMR-WB transcoding causes degradation 0.2 to 0.4 MOS-LQSW below G.722 64. More info you can find Quality comparison of wideband coders including tandeming and transcoding. We should have enough information to start playing with the media setting. To get a bit more practical experience check yourselves and listen to various samples & codecs! Did you enjoy the reading? Let us know! This entry was posted in IMS, RCS, VoLTE, VoWifi, WebRTC and tagged delay, factor R, Jitter, MOS, MOS-LQSW, R-factor, voice call latency, voice call quality, volte call quality, volte codec, volte media, VoLTE QoS. Bookmark the permalink.